The history of Jenkins Arboretum & Gardens is a love story. It sprouted from the love between a husband and wife and their love of horticulture and nature. This theme flourished at every stage, through the love between a father and son, the dedication of directors, donors, board members, staff, volunteers, and visitors with a deep love of horticulture and nature. The home and twenty acres on which the Arboretum was first planned were formerly the property of H. Lawrence and Elisabeth Phillippe Jenkins. 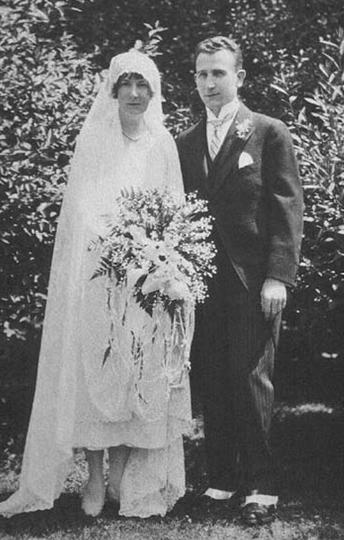 Elisabeth and Lawrence were neither a wealthy nor a noted couple. They lived within their means and enjoyed the beautiful natural setting of their home. 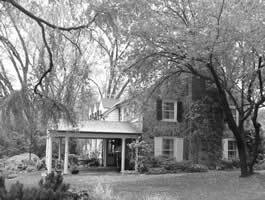 The Jenkins house, situated on a hillside and filled with wonderful woodland trees and shrubs, was perfect for cultivating her passion and love of nature. When Elisabeth died in 1963, Lawrence wanted to preserve their 20-acre property as a living memorial to his wife. He chose to create the Elisabeth Phillippe Jenkins Foundation by his will, stating that the property should be developed into a “…public park, arboretum, and wildlife sanctuary for the use of the public and responsible organizations engaged in the study of arboriculture, horticulture, and wildlife for educational and scientific purposes.” Lawrence died in 1968 and his bequest provided a green oasis for the community and a perfect legacy to honor his wife by preserving the woodland and gardens she loved so much. George Edwin Patton, noted Philadelphia landscape architect, was hired in 1971 to develop a proposal on how best to convert the property into a public garden. Based on slope, soil type, and drainage of the site, he proposed the property be developed to feature native flora as well as plants in the Ericaceae (heath family) such as rhododendrons, azaleas, mountain laurels, and blueberries. He believed that this type of garden would be a complement to the many gardens that had already been established in the Philadelphia area. In 1973, Mrs. Louisa P. Browning, owner of the adjoining property, donated her 26 acres, expanding the size of the Arboretum to 46 acres. 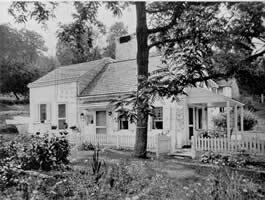 The Browning property included a house and cottage designed by the renowned architect R. Brognard Okie. Throughout the 1970s steps were taken to create a public botanical garden. Trails were created, a pond was installed, a visitor’s center was constructed, and rhododendrons, azaleas, and other ericaceous plants were planted in keeping with George Edwin Patton’s site plan. In 1974, Leonard H. Sweetman was hired as the first Director, after serving as Assistant Director of the Scott Arboretum of Swarthmore College for several years. It wasn’t until 1976, however, that Mr. Jenkins’ vision was realized when his property officially opened to the public as what is known today as Jenkins Arboretum & Gardens. After 12 years of service, Leonard H. Sweetman passed the reigns to his son, Harold E. Sweetman, who became the Arboretum’s second Director in 1986. Over the next several decades, major changes involved the construction of a greenhouse, establishment of the Hamilton Educational Fellowship, expansion of the botanical collections, and the addition of full-time horticulture staff, internships and volunteers. In 2009, the Arboretum completed construction of the John J. Willaman Education Center. The Education Center is a LEED Gold Certified “green” building that serves as an activity hub for staff, volunteers, and visitors alike. On year later, the Rhododendron and Kalmia (mountain laurel) collections became nationally recognized as the Arboretum joined the American Public Gardens Association’s Plant Collections Network – a group of botanical institutions dedicated to preserving the genetic material of plants. The Arboretum celebrated its 40th Anniversary in 2016 with the launch of the Forever Jenkins: Endow an Acre campaign. This endowment campaign will ensure that the Arboretum will remain free, open, and growing for generations to come. If you would like to take part in unfolding story of Jenkins Arboretum & Gardens, please consider making a gift to the Endow an Acre campaign to provide the critical resources needed to support the Arboretum in perpetuity.